To earn the AHP Chris Brune Spirit Award, you not only have to possess spirit, you also have to show spirit through your willingness to assist and support the association. 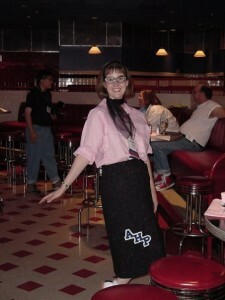 Why did Jennifer Bryant deserve to be on the AHP Spirit Team? “I’m always amazed at Jennifer’s commitment to AHP and that she willingly continues to jump outside what I perceive to be her normal comfort zone to do whatever whacky thing some of you crazy people dream up,” says Doug Hayes, 2011 Spirit Award Winner. “Jennifer is a great team player and always willing to do whatever needs to be done for AHP. She puts 110 percent in what she does. You can always count on Jennifer to give her honest input. I am happy to have her on the Spirit Team,” says Pat Trowbridge, 2012 Spirit Award Winner. Jennifer’s first AHP seminar was in Daytona Beach in 1995 when she was working as editor of Hoof Print, a regional all-breed publication. “I remember Jennifer showing up as a first-timer with a list of 100 questions,” says Chris Brune, inaugural recipient of the Spirit Award in 2004. Jen has been a full-time freelancer since 1998 and has written or co-written three books, written numerous articles, edited several books in addition to her position as editor of USDF Connection since 2001. In 2000, Jennifer became an AHP Director and the first Individual member to serve on the AHP Board . “Jen has always been a strong voice for our freelance members, which has resulted in growth in the AHP Individual membership,” says Chris Brune. “Jennifer is one of the very few people I would call a zealot. If she believes in something, she will stick to it until the end. Once she gets a hold of something she’s like a terrier and won’t let go! ” says Barrie Reightler, 2006 Spirit Award Winner. Anyone who has served on the Board with Jen knows all about her determination on projects and ideas that she was passionate about. Jen has been a presenter, panelist and moderator multiple times at AHP seminars and has been the co-chairman of the Student Award Party for years. Her enthusiasm for supporting the themed event is legendary and she often drags her husband, Michael, into the AHP madness. Jen shares her home in Pennsylvania with her husband and a succession of cats and dogs over the years. Michael and Jen have both become enthusiastic Greyhound-adoption advocates, and the current menagerie includes Sally, an adopted retired racing Greyhound. 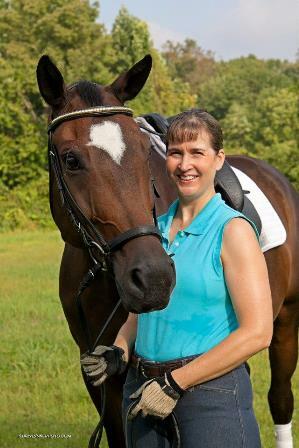 A longtime dressage enthusiast and horse owner, Jennifer is a US Dressage Federation silver medalist. AHP Chris Brune Spirit Award winners are selected by the Board of Directors. Previous award winners include Lua Oas Southard, Barrie Reightler, Ellen Kiser, Daniel Lew, Christy West, Becki Pitcher, Doug Hayes, and Pat Trowbridge. Jennifer Bryant is a welcomed addition to the Spirit Award team.